KICP Talk Mark SubbaRao, Adler Planetarium, "The Future of the Planetarium"
KICP Workshop American Society on Aging Workshop: "Bringing Astrophysics to Older Adults"
Astronomy Conversation Megan Bedell & Sean Mills, "Exoplanets"
Astronomy Conversation Amy Bender - "Cosmology, South Pole Telescope, Galaxy Clusters" & Tyler Natoli - "Cosmology, CMB, South Pole Telescope"
KICP Lecture Harper Lecture: Edward W. "Rocky" Kolb, "Brave New Worlds"
Astronomy Conversation Jason Henning - "CMB Polarization, Instrumentation" & Rick Kessler - "Astrophysics, Dark Energy"
KICP Life Long Learning Series Mike Gladders, "Galaxies near and far, far, away!" Astronomy Conversation Abby Vieregg - "CMB, Neutrinos, Cosmic Rays" & Daan van Rossum - "Radiative Transfer, Supernovae"
KICP Event Cosmosis Conversation: "The Artist and Scientist: Understanding Our Universe and Place Within featuring Sarah and Joseph Belknap + Jacob Bean"
KICP Life Long Learning Series Dan Grin and Jason Henning, " Going to the end of the Earth to study the beginning of the universe"
KICP Life Long Learning Series Richard Kron, "Galaxies!" Talk Adler Colloquium: Renee Hlozek, "Current Challenges in CMB Cosmology"
KICP Life Long Learning Series Alissa Bans, "Planets around other stars and life on other planets"
KICP Lecture 81st Compton Lectures: Andrew McCann, "Nature's Timepiece: The Exotic World of Pulsars"
KICP Life Long Learning Series Mike Gladders, "Galaxies"
Talk Alumni Weekend: Edward C. Stone, SM'59, PhD'64, "The Voyager Journey to Interstellar Space"
KICP Life Long Learning Series Daniel Scolnic, "Exploding stars and the acceleration of the universe"
KICP Life Long Learning Series Manos Chatzopoulos, "Exploding Stars"
Astronomy Conversation Nahee Park - "High Energy Astrophysics"
Astronomy Conversation Dan Scolnic - "Dark Energy" and Zhen Hou - "Cosmic Microwave Background"
Astronomy Conversation Ross Cawthon - "Cosmology, Dark Energy"
Astronomy Conversation Sean Mills - "Exoplanets"
Astronomy Conversation Jason Henning - "CMB Polarization, Instrumentation"
Astronomy Conversation Stephen Hoover - "Cosmology, Cosmic Microwave Background"
KICP Life Long Learning Series Dan Scolnic, "Supernovae and the accelerating universe"
KICP Life Long Learning Series Stephan Meyer, "Einstein's relativity"
KICP Life Long Learning Series Laura Kreidberg, "Exoplanets and astrobiology"
Astronomy Conversation Erik Shirokoff - "Cosmology"
Astronomy Conversation Amy Bender - "Cosmology, South Pole Telescope, Galaxy Clusters"
Astronomy Conversation Mark SubbaRao, "Large Scale Structure, Cosmology"
Astronomy Conversation Phil Mansfield - "Computational Astrophysics & Large Dark Matter Structures"
Astronomy Conversation Rick Kessl - "Astrophysics, Dark Energy"
Astronomy Conversation Abigail Vieregg - "CMB, Neutrinos, Cosmic Rays"
Astronomy Conversation Alan Zablocki - "Cosmology, Neutrinos, Dark Energy"
Astronomy Conversation Dan Fabrycky - "Exoplanets"
Astronomy Conversation Ross Cawthon - " Cosmology, Dark Energy"
Lecture 82nd Compton Lectures: Manos Chatzopoulos, "The Cosmic Fireworks that Synthesize the Building Blocks of Life: Supernova Explosions"
Astronomy Conversation Cameron Liang - "Galaxy Formation & Evolution"
Astronomy Conversation Zhen Hou - "Cosmic Microwave Background"
Astronomy Conversation Ali Vanderveld - "Cosmology, Gravitational Lensing"
Astronomy Conversation Rick Kessler - "Astrophysics, Dark Energy"
Astronomy Conversation Megan Bedell - "Exoplanets"
Astronomy Conversation Ali Vanderveld, "Cosmology, Gravitational Lensing"
Astronomy Conversation Cameron Liang - "Galaxy Formation & Evolution" and Zhen Hou - "Cosmic Microwave Background"
Astronomy Conversation Cosmin Deaconu - "Cosmic Rays, Neutrinos, Dark Matter "
Astronomy Conversation Nan Li - "Gravitational Lensing"
Mark SubbaRao, Adler Planetarium, "The Future of the Planetarium"
The first planetarium was developed over 90 years ago. Today thousands of planetaria exist all across the world. This talk will argue that the future of the planetarium is to make the transformation to a big data visualization facility. 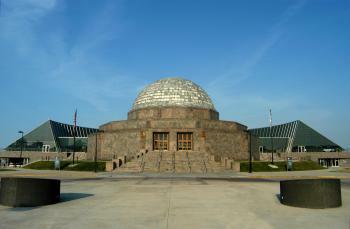 After reviewing the state of the art in planetarium visualization the talk will conclude with a invitation for University researchers to visualize their data sets at the Adler Planetarium. Speaker Biography: Mark SubbaRao is the Director of the Space Visualization Laboratory at the Adler Planetarium. 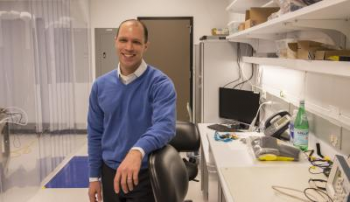 He received his bachelors degree in engineering physics at Lehigh University and his Ph.D from Johns Hopkins University in astrophysics. His Ph.D thesis concerned the characterization and evolution of the luminosity function of galaxies. After obtaining his degree he worked as a post doctoral researcher at the University of Chicago on the Sloan Digital Sky Survey a project to make a 3D map of the Universe. He has led the development of major exhibition galleries at the Adler such as "The Universe: A Walk Through Time and Space" and has also produced, written and directed a number of stereoscopic videos and full-dome planetarium shows. These include the planetarium shows "Welcome to the Universe" and "Cosmic Wonder." His visualizations have been widely shown in print and television. He was part of a team that created a first-prize-winning visualization in the 2011 International Science and Engineering Visualization Challenge. He was also on a team that was awarded the best visualization at XCEDE 2013. Dr. SubbaRao chairs the international Planetarium Society's Task Force on Science and Data Visualization, which seeks to realize the potential of the planetarium as a scientific visualization tool. American Society on Aging Workshop: "Bringing Astrophysics to Older Adults"
This session will highlight a new program to bring astrophysics to older adults, where older Chicagoans are learning all about space from the researchers themselves. Come learn about how the physicists were prepared to work with older adults, how the programming was marketed and implemented, and the outcomes of this novel project. 1. Increase understanding of opportunities to interact with University or Research settings and to bring their expertise to older adults in your community. 2. Identify components of the training that was provided to prepare astrophysics faculty to have a successful presentation to older adults. 3. Recognize the different marketing and outreach techniques used to bring older audiences to the project and programming. 4. Develop ideas for replication of high level programming in their own communities. 5. Learn about the experience of and lessons learned by a physics researcher working with older adults and the aging network, and bringing their expertise to a new audience. 3. 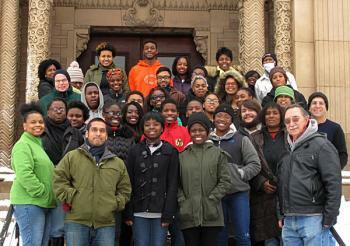 Collaboration between the University of Chicago, Chicago Department on Aging and other community-based organizations. 4. Development of a model to unite university faculty with older adult programming. 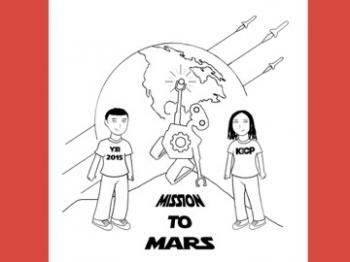 Megan Bedell & Sean Mills, "Exoplanets"
Have you always wanted to meet the people behind the science at the Adler? During Astronomy Conversations, you can exchange ideas with Adler space science and technology experts and learn more about ongoing Adler projects. Amy Bender - "Cosmology, South Pole Telescope, Galaxy Clusters" & Tyler Natoli - "Cosmology, CMB, South Pole Telescope"
Harper Lecture: Edward W. "Rocky" Kolb, "Brave New Worlds"
UChicago's astronomers travel from Hyde Park to all continents of the world, as well as outer space, to explore the universe. In this lecture, Edward W. "Rocky" Kolb will describe the quest of UChicago astronomers to unlock the mysteries of the universe: dark matter, dark energy, and the possibility that we are not alone. 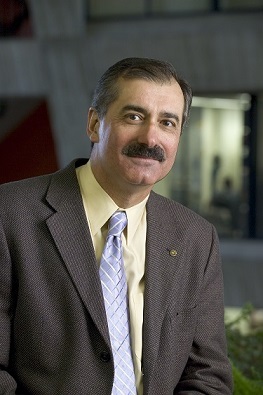 Edward W. Kolb (usually known as Rocky) is the dean of the Division of the Physical Sciences and the Arthur Holly Compton Distinguished Service Professor in the Department of Astronomy and Astrophysics and the College at the University of Chicago. 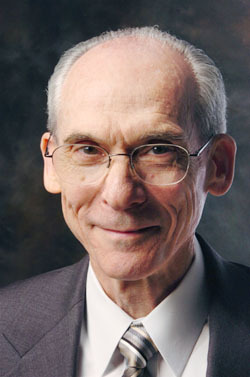 He is the founding head of the Theoretical Astrophysics Group, the founding director of the Particle Astrophysics Center at Fermi National Accelerator Laboratory, a fellow of the American Academy of Arts and Sciences and the American Physical Society, and the recipient of numerous teaching awards. Kolb's book The Early Universe, coauthored with Michael Turner, is the standard textbook on particle physics and cosmology. Jason Henning - "CMB Polarization, Instrumentation" & Rick Kessler - "Astrophysics, Dark Energy"
Mike Gladders, "Galaxies near and far, far, away!" Abby Vieregg - "CMB, Neutrinos, Cosmic Rays" & Daan van Rossum - "Radiative Transfer, Supernovae"
Cosmosis Conversation: "The Artist and Scientist: Understanding Our Universe and Place Within featuring Sarah and Joseph Belknap + Jacob Bean"
Join us for a conversation between COSMOSIS artist-duo Sarah and Joseph Belknap and exoplanet-expert Jacob Bean as they orbit topics relating to art, experimentation, and our existence within the environment of space. This intimate discussion will give the audience a chance to listen and ask questions about the Belkaps and Bean's processes, allowing for greater access and understanding of the fields of art and science. Dan Grin and Jason Henning, " Going to the end of the Earth to study the beginning of the universe"
Join us at HPAC for the COSMOSIS opening reception featuring a performance by Douglas Ewart, DJ sets by John Corbett, and sun-gazing with Sarah + Joseph Belknap. Adler Colloquium: Renee Hlozek, "Current Challenges in CMB Cosmology"
CMB cosmology is currently undergoing a data-rich epoch, with measurements on small scales from experiments like the Atacama Cosmology Telescope (ACT) and it polarisation instrument, ACTPol, adding to measurements on larger scales by Planck, WMAP and most recently BICEP. I will contextualise the measurements and present constraints on parameters from the observations at 148 GHz and 217 GHz respectively by ACT from three years of observations. I'll discuss my recent re-analysis of data from the 2013 data release by the Planck satellite, where we found that the 217GHz x 217GHz detector set spectrum used in the Planck analysis is responsible for some of the tension between the Planck parameters and other astronomical measurements. I'll show evidence suggesting residual systematics in the detector set spectra used in the Planck likelihood code, and discuss how the picture has changed with updated Planck data, and put things in context with the BICEP results. I'll highlight the recent ACTPol results, and outline how upcoming information from various cosmological probes will open up the window on the epoch of reionisation; our least explored epoch to date. Alissa Bans, "Planets around other stars and life on other planets"
81st Compton Lectures: Andrew McCann, "Nature's Timepiece: The Exotic World of Pulsars"
Every Saturday morning beginning April 4, through June 6, 2015; lectures start at 11:00 a.m. (No lecture on May 23rd, Memorial Day weekend). Neutron stars are born in the final moments of the supernova death of massive stars and, in keeping with their exotic origin, they exhibit unmatched extremes in a variety of ways. 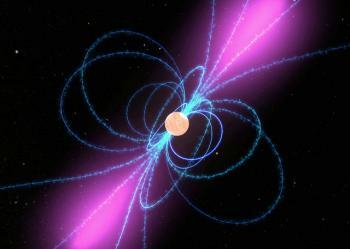 Not only are they the smallest stars we know of, neutron stars are the most dense solid objects in the known Universe. Their surface gravity is 100 billion times that of the Earth and their magnetic fields' strengths, which can reach 1015 Gauss, are the strongest known to exist. Neutron stars are born rotating rapidly and their emission, like the beam from a lighthouse, is observed as a highly stable and regular periodic pulsation - hence the name 'pulsating star' or 'pulsar'. Although pulsars were discovered over 40 years ago and the number of known pulsars exceeds 2400, the physical processes which power the vast array of unique and often bizarre phenomena observed from pulsars are poorly understood. Explaining the observed behaviour of neutron stars has become one of the most challenging puzzles in high-energy astrophysics. Despite the longstanding mystery of their emission, the steady and predictable pulsations from pulsars make them remarkably powerful astrophysical tools. This duality has put pulsars at the centre of some of the most compelling astrophysical research of the last few decades. Each week we will explore different aspects of this duality, by reviewing pulsar phenomena in different wave bands (radio, optical, x-ray, gamma-ray) and by discussing the role of pulsars in tests of Einstein's theory of relativity and in the search for gravitational waves. No scientific background is required -- just bring your curiosity. Alumni Weekend: Edward C. Stone, SM'59, PhD'64, "The Voyager Journey to Interstellar Space"
Launched in 1977 to explore Jupiter, Saturn, Uranus, and Neptune, the two Voyager spacecraft continued their journeys beyond the planets as they searched for the edge of the heliosphere, the giant bubble of wind surrounding the sun. Beyond the bubble lies interstellar space, the space between the stars filled with matter from the explosions of other stars and by the magnetic field of the Milky Way. After a 35-year journey taking it 11 billion miles from the sun, Voyager 1 became the first human-made object to enter interstellar space. Join Edward C. Stone, the 2015 Alumni Medalist, to learn about Voyager's journey of discovery. Daniel Scolnic, "Exploding stars and the acceleration of the universe"
Nahee Park - "High Energy Astrophysics"
Dan Scolnic - "Dark Energy" and Zhen Hou - "Cosmic Microwave Background"
Ross Cawthon - "Cosmology, Dark Energy"
Jason Henning - "CMB Polarization, Instrumentation"
Stephen Hoover - "Cosmology, Cosmic Microwave Background"
Dan Scolnic, "Supernovae and the accelerating universe"
Laura Kreidberg, "Exoplanets and astrobiology"
Amy Bender - "Cosmology, South Pole Telescope, Galaxy Clusters"
Mark SubbaRao, "Large Scale Structure, Cosmology"
Phil Mansfield - "Computational Astrophysics & Large Dark Matter Structures"
Rick Kessl - "Astrophysics, Dark Energy"
Abigail Vieregg - "CMB, Neutrinos, Cosmic Rays"
Alan Zablocki - "Cosmology, Neutrinos, Dark Energy"
Ross Cawthon - " Cosmology, Dark Energy"
82nd Compton Lectures: Manos Chatzopoulos, "The Cosmic Fireworks that Synthesize the Building Blocks of Life: Supernova Explosions"
Every Saturday morning beginning October 3 through December 12, 2015. There will be no lecture on November 28th (Thanksgiving weekend) or December 5 ("Physics with a Bang!"). Supernova explosions mark the violent deaths of massive stars and the ignition of ultra-dense cores of stars called white dwarfs. The luminosity produced by these cosmic catastrophes is millions to hundreds of billions times greater than that of the sun, meaning that they can outshine their entire host galaxy. 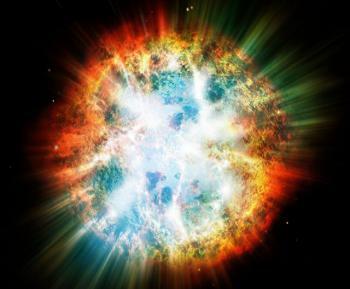 The massive stars that evolve into supernova explosions synthesize heavy nuclei that are some of the main ingredients of life. 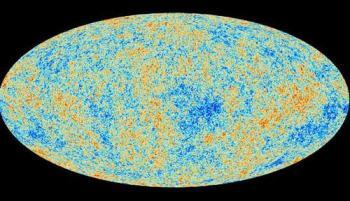 The immense intrinsic brightness of these events allows us to discover them at great distances and use some of them as "standard candles" to measure large cosmic scales enabling us to explore some of the most fundamental properties of the Universe. Supernovae are observed to be a very diverse group of astrophysical objects with many ranges in luminosities, durations and chemical composition. The onset of modern fully-automated wide field telescopes and the large number of amateur astronomers searching for them has allowed us to better understand their nature and explosion mechanism. Furthermore, realistic three-dimensional supernova simulations run on supercomputers have given us a unique insight on the physics associated with the explosion mechanism. Each week we will explore the conditions that lead to supernova explosions by first understanding the evolution of massive stars, the variety of mechanisms proposed for the explosion itself, and the associated numerical supercomputer simulations largely performed by the astrophysicists here at the University of Chicago. No scientific background is required -- just bring your curiosity. Cameron Liang - "Galaxy Formation & Evolution"
Zhen Hou - "Cosmic Microwave Background"
Ali Vanderveld - "Cosmology, Gravitational Lensing"
Rick Kessler - "Astrophysics, Dark Energy"
Ali Vanderveld, "Cosmology, Gravitational Lensing"
Cameron Liang - "Galaxy Formation & Evolution" and Zhen Hou - "Cosmic Microwave Background"
Cosmin Deaconu - "Cosmic Rays, Neutrinos, Dark Matter "
Nan Li - "Gravitational Lensing"